In appreciation of the contribution of one of the State Philanthropists, Chief Olatunde Abudu to the health sector, Ogun State Government says it would build a National Health Insurance Scheme (NHIS) Clinic in Saje Hospital, Abeokuta, in his honour. Commissioner for Health in the state, Dr. Babatunde Ipaye, who made this known while receiving cash donation and a parcel of land from the philanthropist in Abeokuta, said that Government could not bear the burden of financing the healthcare sector alone, hence the need for Public Private Partnership (PPP). 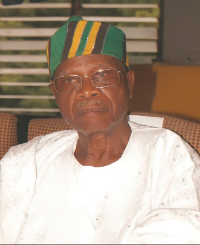 â€œIf we look at healthcare financing, Government alone cannot do it, so we need resources as part of innovation to driving quality health services and the great philanthropist, Chief Olatunde Abudu has continued to support the Teaching Hospital, Sagamu through giving and support to the Saje Hospitalâ€, Ipaye said. Dr. Ipaye further said the initiative would be a continuous improvement on the hospital, which was an extension of Olabisi Onabanjo University Teaching Hospital, Sagamu, saying that services which were lacking in the facility prior the extension have now been provided. â€œSaje hospital was donated to teaching hospital, Sagamu, sometimes March 20, 2006 and we have continued to improve on what was initially donated and part of the continuous improvement is what we are witnessing today. The Philanthropist, Chief Olatunde Abudu appreciated the State Government for providing the platform that enabled him give back to the society, assuring that he would not relent in rendering necessary support as and when needed.